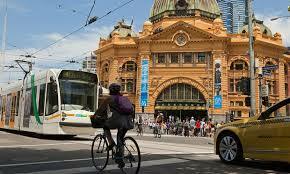 MELBOURNE has been named the world’s most liveable city for an unprecedented sixth year in a row. The Economist announced today that the city would retain the crown, as livability in 20 per cent of the cities surveyed plummeted. Melbourne edged out Vienna, Vancouver, Toronto and Calgary for the title. The city scored a near perfect 97.5 out of 100 — with top marks in healthcare, infrastructure and education. To read more about the news published on Herald Sun, please click here.